Is Investing in Cryptocurrency a Good Idea for Your Business? Of course, the goal of every business investment is to generate a lucrative return. This can be achieved by purchasing or producing something of value (i.e. products, inventory, equipment) and then selling it, or by investing time and energy into funding, services, and promotional efforts. In other words, instead of investing in Bitcoin, a business owner could allocate the same time and resources to more reliable venues for financial gain, such as crowdfunding platforms like Kickstarter, P2P lending networks like Prosper, and Asian small business loans like those offered by Capital Match– China has a remarkably high loan approval rate at the moment and the government is even encouraging lenders to aid small businesses. A) Converting a conventional currency into Bitcoin reduces the amount of accessible funds available to the business at any given time. In order to liquidate those funds, the business would then have to convert the Bitcoin into cash at its current value, and since there's a chance that the Bitcoin could be worth less than it was when it was bought, there's a possibility of losing money this way. Although there's also the possibility of gaining a nominal amount, why take the risk of losing capital at all? B) Investing in Bitcoin and other cryptocurrencies provides no tangible benefit to your company's ability to expand or better satisfy its clients and investors. Accepting cryptocurrencies as a form of payment may be beneficial, but storing additional company funds in the form of Bitcoin has no real advantage, especially now that the bubble has already started deflating. Thus, it's always better for a business to re-invest in itself than to invest in external stocks or currencies that may or may not pay off in the long-term. Everyone wants to benefit from the new gold rush, but sadly, by the time an investment has gained enough media momentum to become a household name, it's usually no longer worthwhile. While cryptocurrencies are certainly a field of investment worth looking into, it's not something that an unrelated business should start pouring funds into. Are Cryptocurrencies Really a Business Investment? 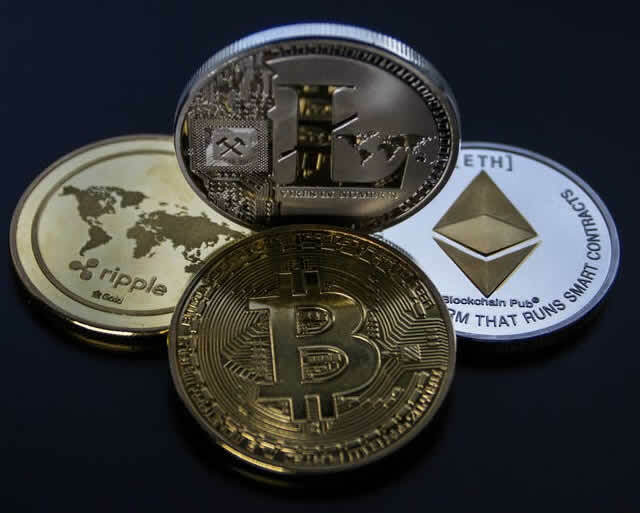 According to Coin R, cryptocurrencies have become known as investments because of how much their value has appreciated during the initial stages of their existence, in actuality they're merely alternative currencies with no real intrinsic value.